Continuing our discussion on blob storage I thought it would be interesting if we looked at how blob storage can solve a perennial criticism of Azure, i.e. it is just to expensive to allow for hobbyists and individuals to use it. I have worked in the IT community for quite a will as an independent contractor and I know a lot of people within that community. A common requirement for contractors is to have a web site advertising thier skillset, portfolio and clients. Nine times out of ten, the site is static, there is absolutely no need for a data store, there are no financial transactions being pushed through the site and there is probably no need for video etc. Quite often I hear members from this community state that Azure is to pricey, and for their needs I have to agree. However I suspect that they are going down the route of having a web role (extra small instance), lets say 10 gb of storage and a CDN. Now give or take this is going to cost in the region of £26.50 or $47 a month. Straightaway there is no challenge in finding a cheaper equivalent offer by several orders of magnitude elsewhere… absolute no brainer. However remember we are only wanting to serve up a static web site or silverlight application. Could blob storage come to our rescue ? Well we know that BLOB’s can be stored in a public container and are accessible via a public URI over an HTTP connection. The great thing about this storage mechanism is that it allows you to configure MIME types to ensure that the browser can correctly render the served content. We are going to look at hosting a static web site but its just as viable to serve up a silverlight application. In this blog post we are going to serve a static html file from blob storage, but first we are going to upload it. I created a very simple windows application to upload the file to the blob storage account I created in Azure. I am assuming that you have already created a storage account. The code above is a pretty standard use of the api that wraps around the rest service interface. However I did notice quite a nice way of instantiating access to your account without the overhead of the configuration normally required when you start with a web role template project within Azure. This involves creating a StorageCredentialsAccountAndKey object that takes name of the account and its key that you created within the Azure framework. True this method is never going to be flexible enough to be acceptable in an enterprise scenario but for quick proof of concept or a small application designed to get you up to speed this is a nice way to get stuff up to Azure without having to write code to handle writing and reading to a configuration file. You can see we have reduced our monthly price considerably to $7.75 which is starting to put Azure in the same ball park as other hosting solutions. Of course web sites are structured hierarchically within folders, but you can simulate this by putting the slash within the blob name. Now we can significantly improve performance by using Content Delivery Networks (CDNs). Basically a CDN is a method of delivering content by an optimised Edge server to as close to the requesting client as possible. Content is uploaded to the originating server which then delivers to the edge server nearest to the request if the edge server has not already got a copy of the content. Now this really isn’t user friendly, but remember you can add you own domain name to make it more accessible, we will cover this in a later blog post. What we have achieved is a cheaper hosting solution in Azure for a certain type of site either web or Silverlight. It proves that with a bit of imagination that Azure can be a platform that viable to both hobbyists, very small companies and technology professionals. The blob storage option gives us a cheap alternative to using some of the more expensive components of Azure such as compute instances and SQL Azure. 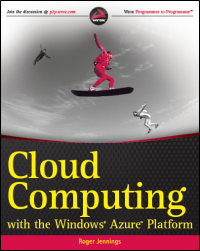 Mark published Azure Blob Storage Basics Part 1 on 6/12/2011. Gladinet CloudAFS is reaching version 3, the same version level as the other two products (Cloud Desktop & Cloud Backup) in the same Gladinet Cloud Storage Access Suite. CloudAFS is an acronym for cloud attached file server. The basic functionality is to attach cloud storage services to a file server as a mountable volume. Thus expanding the file server with cloud storage capability. Its functionality includes Backup file server shares to cloud, Access cloud storage as a network share, Sync file servers over two different locations, Integrate existing applications such as Backup Exec with cloud storage and Connect a group of users over cloud storage. It services the same BASIC (Backup, Access, Sync, Integrate, Connect) use cases for cloud storage. The CloudAFS user interface is updated to share the same look and feel with Gladinet Cloud Desktop and Cloud Backup. Once you are familiar with one of the product, you are pretty much familiar with all of the products. More and more cloud storage services are available to mount into the file server. For example, CloudAFS supports Amazon S3 (all regions), AT&T Synaptic Storage, EMC Atmos, Google Storage, Internap XIPCloud, KT ucloud, Mezeo, Nirvanix, OpenStack, Peer1, Rackspace Cloud Files, Windows Azure Storage. As more and more cloud storage services providers coming to the market, more and more are coming to Gladinet CloudAFS too. You can keep your local directories as your network shares and use cloud storage service to protect them. In the advanced mode, a cloud storage service can be mounted with cloud sync folder capability, thus allowing two CloudAFS servers to sync to each other. Help enable your employees to easily access up-to-date informations for more effective decision making. Jasco 2SQL quickly and securely migrates mission critical data to Microsoft SQL Server or Microsoft Azure, which helps ensure your data can be used more effectively across your organisation and remains accessible to your users. Sounds to me like a pricey replacement for the Microsoft Access Upsizing Wizard and Access Data Projects (ADPs). It appears that Microsoft has informally deprecated ADPs, so perhaps 2SQLAzure has a chance of success. For more details about moving Access tables to SQL Server and SQL Azure, see my Bibliography and Links for My “Linking Access tables to on-premise SQL Server 2008 R2 Express or SQL Azure in the cloud” Webcast of 4/26/2011 post of 4/24/2011. Over the last few months, we have been hard at work on the datajs library, releasing four preview versions and working with web developers to fine-tune the library. Today, we’re proud to announce that the first version of datajs is now available for download. You can download the development and minified version at http://datajs.codeplex.com/. The source code for the release is also available, distributed under the MIT license. You can also use NuGet to download the datajs package. We hope this helps build a better web, and we look forward to hearing more from your experience. Microsoft Research has just released a SDK preview download of its Windows Phone 7 + Cloud Services Software Development Kit. (SDK) This SDK is designed around developing Windows Phone 7 applications with services that are not available to the general public. These services include computation (Windows Azure); storage (Windows Azure); authentication (Windows Live ID); notification; client-back-up; client-code distribution and location. and shows the date published as 1/25/2011. I assume that date is incorrect. BETHESDA, Md.--(BUSINESS WIRE)--Acumatica and JAAS Systems, providers of Cloud ERP software, today announced the availability of a fully integrated manufacturing, distribution, and accounting solution on the Windows Azure Cloud. Mid-sized manufacturing companies can use the solution to manage sales, inventory, material planning, master production schedules, and much more from a web-browser no matter where they are located. JAAS Systems developed JAMS Manufacturing for Acumatica using Acumatica’s web-based software development kit and Microsoft Visual Studio. The integration delivers a seamless user experience with a common user interface, integrated menus, and shared database elements. JAMS Manufacturing for Acumatica integrates with the Acumatica Financial Suite, Distribution Suite, and Customer Management Suite to deliver a complete solution for make-to-stock, make-to-order, job-shop, and repetitive manufacturing companies. The entire solution can be run on a customer’s premise or deployed as a service in the Cloud to save money on initial deployment costs and ongoing maintenance. JAMS Manufacturing for Acumatica is available today. Customers can purchase a software license or a turnkey annual subscription service (SaaS) that runs on Microsoft Windows Azure. To learn more visit www.acumatica.com/manufacturing. Acumatica develops web-based ERP software that delivers the benefits of Cloud and SaaS without sacrificing customization, control, security, or speed. Acumatica can be deployed on premise, hosted at a datacenter, or run on a Cloud computing platform. Learn more about Acumatica’s Cloud ERP solution at www.acumatica.com. JAAS Systems Ltd is a leading provider of manufacturing software for mid-sized businesses. JAAS Advanced Manufacturing Software delivers powerful manufacturing applications for make-to-stock, make-to-order, engineer-to-order, job-shop, and repetitive-process manufacturing companies. By integrating with leading accounting solutions JAAS can provide customers with a complete and cost effective business management solution. Learn more at www.jaas.net. Minneapolis, MN (PRWEB) June 30, 2011. Insite Software, a leading provider of B2B and B2C ecommerce platforms and shipping solutions, today announced that Microsoft Corporation has certified InsiteCommerce as one of the first enterprise B2B ecommerce platform powered by Windows Azure for cloud computing. The latest version of InsiteCommerce provides the Microsoft .NET development community and design agencies with advanced cloud deployment and an easy-to-use SDK allowing firms to rapidly develop and deliver scalable, high performing, B2B ecommerce projects for their manufacturing, distribution and retail clients. The InsiteCommerce ecommerce platform was built to support the manufacturing, distribution, and retail industries with industry-leading B2B and B2C web strategies including custom website design, content management, and integration to back-end ERP systems. Its latest SDK reduces the complexity of designing and maintaining premier ecommerce sites by offering .NET developers complete control. The advanced toolkit enables .NET development firms to become self-sufficient and deliver more ecommerce projects in a short period time. To download more information on InsiteCommerce ecommerce platform for Windows Azure, visit http://www.insitesoft.com/partners/developersresellers/azurecertifiedecommerce.html. Insite Software is a leading provider of B2B and B2C ecommerce platforms and shipping solutions, serving more than 700 customers, design agencies and .NET development firms across the globe. Headquartered in Minneapolis, Minnesota, Insite Software’s solutions are used by leading manufacturers, distributors and retailers to sell and distribute their products to dealers, franchisers, stores, contractors, consumers and others. Insite offers ecommerce solutions for companies at all stages of adoption and addresses the unique needs of B2B and B2C sites. InsiteCommerce’s SDK offers .NET and other development firms an advanced toolkit to become self-sufficient and deliver more ecommerce projects in a short period time. Insite Software’s customers select the InsiteCommerce edition that fits the demands of their buyers, timeframe and ecommerce strategy, ranging from a pre-wired Express service to a more flexible Professional edition and the fully customizable Enterprise solution. All InsiteCommerce editions are fully integrated with a wide range of cloud platforms, CMS, CRM, and ERP providers including Epicor, Infor, Microsoft Dynamics, Sage, SAP, Sitecore, and Windows Azure. More information is available online at http://www.insitesoft.com, by phone at 866.746.0377, by email at info(at)insitesoft(dot)com, or on our blog. Faulting application WaHostBootstrapper.exe, version 6.0.6002.18009, time stamp 0x4d6ac763, faulting module ntdll.dll, version 6.0.6002.18446, time stamp 0x4dcd9861, exception code 0xc0000005, fault offset 0x000000000001b8a1, process id 0xbe8, application start time 0x01cc36946462e8a0. [00001744:00001280, 2011/06/29, 19:57:47.150, 00040000] Process exited with 0. [00001744:00001280, 2011/06/29, 19:57:47.181, 00040000] Executing E:\plugins\RemoteAccess\RemoteAccessAgent.exe. [00001744:00001280, 2011/06/29, 19:57:47.228, 00040000] Executing E:\plugins\RemoteAccess\RemoteAccessAgent.exe /blockStartup. The key here is that “Out of memory exception could mislead” which is actually caused because of “some reference DLL is missing” at first place. See the exception hierarchy to understand it. A few references were not set to "Copy Local as true" and after setting all necessary references to "Copy Local as True" and then upgrade the deployment solved the problem. Microsoft has released a community technology preview (CTP) of the Windows Azure Plugin for Eclipse with Java. The tool makes it easier for Eclipse users to package their Java applications for deployment on Microsoft's Azure cloud computing service. "There are many ways to build packages to deploy to Windows Azure, including Visual Studio and command line-based tools. For Java developers, we believe the Eclipse plug-in we are providing may be the easiest," said Microsoft's Martin Sawicki. "And we have received a strong response from developers that these serve as great learning tools to understand how to take advantage of the Windows Azure cloud offering." New features in the plug-in include a UI for remote access configuration, schema validation and auto-complete for *.cscfg and *.csdef Azure configuration files, an Azure project creation wizard, sample utility scripts for downloading or unzipping files, shortcuts to test deployment in the Azure compute emulator, an Ant-based builder and a project properties UI for configuring Azure roles. Since it is the week leading up to Canada day, I thought it would be fitting to celebrate Canada’s birthday by sharing the stories of Canadian developers who have developed applications on the Windows Azure platform. A few weeks ago, I started my search for untold Canadian stories in preparation for my talk, Windows Azure: What’s In the Cloud, at Prairie Dev Con. I was just looking for a few stores, but was actually surprised, impressed, and proud of my fellow Canadians when I was able to connect with several Canadian developers who have either built new applications using Windows Azure services or have migrated existing applications to Windows Azure. What was really amazing to see was the different ways these Canadian developers were Windows Azure to create unique solutions. Back in May, we talked about leveraging Windows Azure for your next app idea. We talked about the obvious scenarios of using Windows Azure – web applications. Lead, for example, is a web-based API hosted on Windows Azure. Election Night is also a web-based application, with an additional feature – it can be repackaged as a software-as-a-service (hosted on a platform-as-a-service). (More on this in future posts) Connect2Fans is an example of a web-based application hosted on Windows Azure. But we also talked other, not-as-obvious scenarios such as extensions for SharePoint and CRM, mobile applications, and social applications. Booom!! allows you to receive the information you want from your favourite brands and pages on Facebook. No more piles of messages in the "Other" box or constant posts to your wall. Booom!! only sends the stuff you want and drops it right into your personal Booom Box. Booom!! provides a simplified messaging system for both page admins and Facebook users. At the Code Your Art Out Finale, I had a chance to chat with Karim and Trevor, the founders and developers of Booom!! about how they built Booom!! using Windows Azure. Jonathan: When you guys were designing Booom! !, what was the rationale behind your decision to develop for the Cloud, and more specifically, to use Windows Azure? Karim: We chose cloud technologies for the app not only because it was a technical requirement for the competition (Code Your Art Out) but we are always conscious of scalability with everything that we build. We want our applications to be able to grow with their user base and cloud technology allows us to accomplish this without much financial investment. Trevor: We were in the final stages of evaluating Amazon’s EC2 when we entered into the Code Your Art Out competition. We were excited to hear the Windows Azure was a technical requirement because we wanted to evaluate Microsoft’s cloud solution as well. I found the Azure management portal to be very intuitive and with little effort I had commissioned a database and deployed a WCF service to the Cloud. This same scenario on Amazon would have taken at least twice as long and I would have also had to have previously installed SQL Server and any other supporting applications. One feature I saw as a real benefit was being able to promote your code from staging servers to production servers. It was a no brainer after the first deployment attempt. We are a start-up and we have limited resources and limited finances, using Azure helps to ease those pains and remain competitive. Trevor: We have a .NET WCF service hosted in a Windows Azure hosted service – a web role. Our PHP-based Facebook application front-end application talks to the service in Azure. We are currently working on deploying the front-end onto Azure as well, and then we will also start taking advantage of the storage services to optimize the front-end client performance. Then, we will be “all in”! Trevor: We did experience some issues with getting PHP deployed to the Cloud and we are still working through those issues. We used the command line tool (Windows Azure Command-line Tools for PHP) to create the deployment package and everything worked great in the DevFabric but when I deployed, I would get a "500 - Internal server error". I have determined the issue is with my "required" declaration but I'm not sure why and I could not find much documentation on this or on how to enable better error messaging or get access to logs. Still working on that. Otherwise, everything was smooth! Trevor: Microsoft has always built intuitive tools and Azure is another great example. There will be many things I'm sure we will learn about cloud technologies and Azure specifically but for now it was nice to see that what we did already know was reinforced. Karim: Azure is an impressive piece of technology that will help many small to large business grow and scale. It's nice to see Microsoft playing nicely with other technologies as well – WordPress, PHP, MySQL, etc. I’d like to take this opportunity to thank Karim and Trevor for sharing their story. When you have a chance, check out Booom!!. Enter your email address so that you can receive an invite to the beta release when it is ready. I had the opportunity to see Booom!! being demonstrated – looks pretty cool. I, for one, am looking forward to giving it a test drive. Stay tuned for pictures and videos from the demonstration. Missed previous developer stories in the series? Check them out here. This post also appears in Canadian Developer Connection. Update: The Excel importer will now allow CSV files to be imported from LightSwitch web applications. Excel Importer is a Visual Studio LightSwitch Beta 2 Extension. The extension will add the ability to import data from Microsoft Excel to Visual Studio LightSwitch applications. The importer can validate the data that is being imported and will even import data across relationships. To install and use the extension in your LightSwitch applications, unzip the ExcelImporter zip file into your Visual Studio Projects directory (My Documents\Visual Studio 2010\Projects) and double-click on the LightSwitchUtilities.Vsix.vsix package located in the Binaries folder. You only need LightSwitch installed to use the Excel Importer. In order to build the extension sample code, Visual Studio 2010 Professional, Service Pack 1, the Visual Studio SDKand LightSwitch are required. Unzip the ExcelImporter zip file into your Visual Studio Projects directory (My Documents\Visual Studio 2010\Projects) and open the LightSwitchUtilities.sln solution. To build the sample, make sure that the LightSwitchUtilities solution is open and then use the Build | Build Solution menu command. To run the sample, navigate to the Vsix\Bin\Debug or the Vsix\Bin\Release folder. Double click the LightSwitchUtilities.Vsix package. This will install the extension on your machine. Create a new LightSwitch application. Double click on the Properties node underneath the application in Solution Explorer. Select Extensions and check off LightSwitch Utilities. This will enable the extension for your application. In your application, add a screen for some table. For example, create a Table called Customer with a single String property called Name. Add a new Editable Grid screen for Customers. Create a new button for the screen called ImportfromExcel. In the button's code, call LightSwitchUtilities.Client.ImportFromExcel, passing in the screen collection you'd like to import data from. Run the application and hit the Import From Excel button. This should prompt you to select an Excel file. This Excel file must be located in the Documents directory due to Silverlight limitations. The Excel file's first row should identify each column of data with Title. These titles will be displayed in the LightSwitch application to allow you to map them to properties on the corresponding LightSwitch table. For more details, please see How to Import Data from Excel Using the Excel Import Extension. For more information on how to develop your own extensions for the community please see the Extensibility Cookbook. And please ask questions in the LightSwitch Extensibility forum. Course Description: LightSwitch is one of the most interesting development technologies to come out of Microsoft in a long time. Built on Visual Studio, it is truly a rapid application development tool in a way that Visual Basic and Access never were. It provides a solid foundation and infrastructure for common business applications, built using tried and true technologies. Yet it is highly extensible and flexible. It is not right for all applications, but when it is a good fit, it is pretty sweet. In this course, you will get a thorough overview of LightSwitch so that you can make a decision about whether it will work for you and the kinds of applications you build. After taking over for Microsoft's Bob Muglia, Microsoft's new cloud chief, Satya Nadella, says the cloud is a "sales opportunity" for Microsoft, not a threat. He claims the cloud will not hurt Microsoft, and the company will be able to hold onto its existing market share and dominance on the PC, while at the same time gaining a larger and larger share of the emerging cloud computing market. Let's check the logic here. Let's say you're a huge software company that sells through thousands and thousands of channels. Your products include operating systems, office automation software, enterprise software, and development tools. Moreover, you charge a lot of money because you can. After all, you're a leader in those markets. Now, you're looking to provide most of that same technology through the public cloud, which bypasses your established channels, and you can no longer charge the same premium. I'm talking Windows Azure and Office 365. Furthermore, you're a follower and not a leader in the still-emerging cloud computing marketplace. Despite Nadella's optimism, this sounds like a bag of hurt to me. The fact is, all large software providers moving their software services to cloud services will ultimately hinder their own sales process and perhaps cannibalize their own market base. It can't be avoided. That's why Oracle, IBM, and Hewlett-Packard have not played up any public cloud offering, and instead opt to push the local data-center-centric private cloud options. They see the public cloud pushing down their traditional software business, as white-belted salesmen roaming enterprise halls are quickly replaced with Web browsers. In many respects, Microsoft is actually being much more proactive than its counterparts, building out a public cloud service despite the certainty it will see some initial rough waters. However, "no pain"? Sorry, but this is going to hurt a lot. The second service pack to the HPC Pack 2008 R2 software is now available! For more information on those, and other, new features available in Service Pack 2 please see our documentation on TechNet. The single SP2 installer applies to both Express and Enterprise installations, as well as the standalone 'Client Utilities' and 'MS-MPI' packages. You can download it from the Microsoft Download Center. If you do not have an HPC Pack 2008 R2 cluster, you can download a free Windows HPC Server 2008 R2 evaluation version. Before you install, you can try out the new Installation Preparation Wizard which can help analyze your environment for common issues and provide some best practice guidance to help ensure an easy HPC cluster setup. Let us know your thoughts over on our Windows HPC discussion forums. Altaf Rupani, vice president of global strategic planning and architecture at Dow Jones, is on a mission to get the best out of new cloud computing architectures inside his company for all the usual reasons: reducing time to market on new apps and avoiding the capital cost of new hardware. In this interview, Rupani discusses his company’s private cloud roll out and the challenges it still faces working with service providers to get a hybrid cloud system up and running. How long did it take to build your private cloud? Rupani: About a year and half. Why did you go this route versus tapping into readily available public cloud resources like Amazon Web Services? Rupani: We don't use EC2 for business critical apps; the public cloud isn't ready for the enterprise, there needs to be more governance controls that cater to the enterprise. Aren't these kinds of controls tough to build in a private cloud environment, too? Or can anybody at your company jump on your private cloud and provision services? Rupani: Yes, you need to establish governance and rules and introduce rigor so that you are following role-based access controls, but this is easier to do today inside your own four walls. Who has access to your private cloud? Rupani: Developers, marketing folks, business analysts, people who are tech-savvy on the business side of the house… It is there for anyone that needs it. Is there training involved, how do you get employees up and running, and what are the potential pitfalls? Rupani: We have an on-boarding process; we enlighten and educate people on the portal. Otherwise you could shoot yourself in the foot if you let people on who don't know what they are doing. We leave it to the tech leads to spread the word. Otherwise you could have 400 virtual machines or 4,000 provisioned for 10 minutes of use. What systems did you put in place to guard against that? Rupani: You need to create an auto-approval process for certain groups of users. For example, developers can provision assets without as many hoops to jump through as other employees less familiar with the system. Our mobile development team can provision as many instances at a time as they need as this is a high priority job. How large is your private cloud? Rupani: All new instances are provisioned through our private cloud and we have 350 active instances, but this spikes up or down depending on workloads. Do hardware choices, HP versus Dell for example, give you any advantage in your private cloud architecture? Rupani: No. We use off-the-shelf hardware. Dell, HP, IBM -- it doesn't matter, we just need a service-level agreement (SLA) for response time, a de-dupe rate for storage etc… We created the framework for a resilient cloud first, then we picked vendors that met that criteria. What software are you using for virtualization and automation? DynamicsOps is based on Microsoft technologies and uses the .NET framework. Does this mean you'll use Windows Azure for application development? Rupani: I’m bound by NDAs. Get back to me in three months. What applications are running in production on your private cloud today? Rupani: Corporate applications, including back office stuff like SharePoint 2010, have been consolidated from five separate instances to one instance running on the private cloud. B2B apps on the cloud include DowJonesNews.com and our archive. B2C apps include WSJ.com, MarketWatch.com and Barron’s. All of these have some presence on the private cloud and are using it more and more. What advantages have you seen so far? Rupani: One of the biggest advantages is that we no longer need to spend so much money on transitional technology setups for new projects. It's a cost-avoidance strategy as we don't need net new assets. There's also a cost-efficiency advantage as we are getting better usage out of our existing servers. We tripled our average utilization to 35 to 40% per physical machine. That still seems low. Why not 60 to 70% utilization? Rupani: We leave headroom to account for peaks. What about labor? Do you save costs there? Rupani: Yes. Cloud instances are half the cost of physical instances including labor. How many administrators maintain your private cloud? Rupani: It's less than five. What about hybrid cloud? Does that make sense for your company? Rupani: We'd like to extend our internal private cloud to public cloud in a hybrid model, but we're still working on the SLAs and data residency mandates with public cloud providers to make that viable. Rupani: Before the end of the calendar year we'll be able to use hybrid; through APIs we will be able to plumb the providers' capacity behind our portal. Give us an example of why that would be useful. Rupani: Let's say there's an employee in Europe working on a big marketing launch, but there's no Dow Jones capacity there. The system will say here are the templates available for services and it's the same workflow and policies as internal services, but it launches on the public cloud. It federates with the enterprise. What challenges have you faced in getting this hybrid model to work? Rupani: When the provider is a black box it's not good; single sign-on and identity and access control is not easy to get done. The portal in the U.S. is just a façade; what you need is an access point for the consumer that is the shortest path, local to the U.K. if the person is in the U.K., not in the US. This requires bifurcation; directional DNS and load balancing that can intercept and redirect the user to the resource. These are things that are common in serving Web pages today, but haven't been there for enterprise systems? Are there other challenges with the hybrid model? Rupani: Service providers had not envisaged the workflow we needed, so we are really pioneering this path; it takes a lot of trial and error. Which service providers are you working with? Rupani: I can’t say just yet. Get back to me in a few months, but it's the usual suspects. How have your users responded to the private cloud? Rupani: People are lining up to use it. The time-to-market for new apps is so much faster. Users are willing to pay more [for it] as they get their server before they come back from lunch instead of in three weeks. [That] is awesome from an application delivery standpoint. What are your goals for the private cloud this year? Rupani: To move more applications to it where appropriate and train all our users on it. For more details about DynamicOps, see Derrick Harris’ Dell Cloud OEM Partner DynamicOps Gets $11M post of 2/28/2011 to Giga Om’s Structure blog. Full disclosure: I’m a paid contributor to SearchCloudComputing.com. Today we are very excited to announce the availability of 2 new Integration Packs (IPs) for System Center Orchestrator. We have published the new IPs for IBM Netcool and VMware vSphere which are available for immediate download by clicking the links. This version of the integration pack for VMware for vSphere contains new activities, new features, and enhancements. You can read the release notes here. Provides functionality to both enter and exit maintenance mode for an ESX host. Entering maintenance mode prevents VMs powering up or failing over to the host if it is taking part in a high availability cluster. Maintenance mode is normally enabled prior to powering off the host for hardware maintenance. Retrieves a list of properties for a specified host in the VMware vSphere cluster. Examples of these properties would be Connection Status (Powered on, disconnected, etc) and Maintenance Mode state. The Get Hosts activity now returns, in the published data, the state of the Host in the cluster, such as running or maintenance mode. The Clone VM activity now does not show the datastore or hosts in object's subscription list which aren’t available. Previously all datastores / hosts were returned, now only the available ones are returned. New timeout field added to the options menu for all VMware vSphere activities. If no value is given, this will default to 100 seconds. DNS Settings now configured on Clone VM activity correctly as supplied. This is a comma-separated list of DNS servers. You can use a custom port to connect to Virtual Center. The port value is blank by default, with blank value representing to use the default port. This version of the integration pack for IBM Tivoli Netcool/OMNIbus contains new features and enhancements. You can read the release notes here. All activities can connect to the Netcool Object Server using an SSL Connection. All features now use the same logging framework. There is no longer a requirement for Java specific logging information. All activities now publish UTC fields in two formats; the original long timestamp (1269986359), and the OIS standard format (M/d/yyyy h:m:s tt). Previously, activities would fail if a string contained a combination of a single quote and a question mark. The Monitor Alert activity no longer allows published data in Monitor Alert fields. Monitor Alert fields accept only variables. ORLANDO -- If speedy IT services are important, businesses should be shifting from traditional computing into virtualization in order to build a private cloud that, whether operated by their IT department or with help from a private cloud provider, will give them that edge. That was the message from Gartner analysts this week, who sought to point out paths to the private cloud to hundreds of IT managers attending the Gartner IT Infrastructure, Operations & Management Summit 2011 in Orlando. Transitioning a traditional physical server network to a virtualized private cloud should be done with strategic planning in capacity management and staff training. "IT is not just the hoster of equipment and managing it. Your job is delivery of service levels at cost and with agility," said Gartner analyst Thomas Bittman. He noted virtualization is the path to that in order to able to operate a private cloud where IT services can be quickly supplied to those in the organization who demand them, often on a chargeback basis. Gartner analysts emphasized that building a private cloud is more than just adding virtual machines to physical servers, which is already happening with dizzying speed in the enterprise. Gartner estimates about 45% of x86-based servers carry virtual-machine-based workloads today, with that number expected to jump to 58% next year and 77% by 2015. VMware is the distinct market leader, but Microsoft with Hyper-V is regarded as growing, and Citrix with XenServer , among others, is a contender as well. "Transitioning the data center to be more cloud-like could be great for the business," said Gartner analyst Chris Wolf, adding, "But it causes you to make some difficult architecture decisions, too." He advised Gartner clientele to centralize IT operations, look to acquiring servers from Intel and AMD optimized for virtualized environments, and "map security, applications, identity and information management to cloud strategy." Although cloud computing equipment vendors and service providers would like to insist that it's not really a private cloud unless it's fully automated, Wolf said the reality is "some manual processes have to be expected." But the preferred implementation would not give the IT admin the management controls over specific virtual security functions associated with the VMs. Regardless of which VM platform is used — there is some mix-and-match in the enterprise today though it poses specific management challenges — Gartner analysts say there is a dearth of mature management tools for virtualized systems. "There's a disconnect today," said Wolf, noting that a recent forum Gartner held for more than a dozen CIOs overseeing their organizations building private clouds, more than 75% said they were using home-grown management tools for things like hooking into asset management systems and ticketing. The greatest challenge facing longer-term adoption of cloud computing services is not security, but rather cloud interoperability and data portability, say cloud computing experts from IEEE, the world's largest technical professional association. At the same time, IEEE's experts say cloud providers could reassure customers by improving the tools they offer enterprise customers to give them more control over their own data and applications while offering a security guarantee. Today, many public cloud networks are configured as closed systems and are not designed to interact with each other. The lack of integration between these networks makes it difficult for organizations to consolidate their IT systems in the cloud and realize productivity gains and cost savings. To overcome this challenge, industry standards must be developed to help cloud service providers design interoperable platforms and enable data portability, topics that will be addressed at IEEE Cloud 2011, 4-9 July in Washington, D.C.
"Security is certainly a very important consideration, but it's not what will inhibit further adoption," said Dr. Alexander Pasik, CIO at IEEE and an early advocate of cloud computing as an analyst at Gartner in the 1990s. "To achieve the economies of scale that will make cloud computing successful, common platforms are needed to ensure users can easily navigate between services and applications regardless of where they're coming from, and enable organizations to more cost-effectively transition their IT systems to a services-oriented model." According to industry research firm IDC, revenue from public cloud computing services is expected to reach US$55.5 billion by 2014, up from US$16 billion in 2009. Cloud computing plays an important role in people's professional and personal lives by supporting a variety of software-as-a-service (SaaS) applications used to store healthcare records, critical business documents, music and e-book purchases, social media content, and more. However, lack of interoperability still presents challenges for organizations interested in consolidating a host of enterprise IT systems on the cloud. I’ve created a complete run through of everything in the UK bootcamp, all in order. Click the first video, watch, click the second video, watch, etc., etc. from beginning to end. Click the image to go to the complete Bootcamp run-through. OpSource has been bought by ICT and IT services giant Dimension Data. This tells us several important things about the cloud computing market when we look at some of the details. It’s mostly positive unless you’re a private cloud cultist or one of the vendor giants enabling private cloud cargo cults in various areas of IT. OpSource likely made out here, too; Yankee Group analyst Camille Mendler said NTT, which now owns Dimension Data and was a 5% equity investor in OpSource, is well known for piling up money to get what it wants. “NTT was an early investor in OpSource years ago. They always pay top dollar (see DiData price, which turned off other suitors)” Mendler said in a message. Mendler also pointed out the real significance of the buy: the largest providers are moving to consildate their delivery arms and their channel around cloud products, becuase that’s where the action is right now. Amazon Web Services is an outlier; private cloud in the enterprise is in its infancy; but service providers in every area are in a wholesale migration into and delivering cloud computing environments. OpSource already runs in some NTT data center floor space; DiData has a massive SP/MSP customer base and it’s OpSource’s true strength as well. DiData is already actively engaged with customers that are doing cloudy stuff, said Mendler, and they basically threw up their hands and bought out the best provider focused cloud platform and service provider they could find. “There’s a white label angle, not just enterprise” she said. And it’s not the only deal for cloud for providers, by NTT either: It bought controlling interest in an Australian MSP with a cloud platform in May. gathering in OpSource means NTT have a stake in most of the world in a fairly serious fashion when it comes to the next wave of public and hosted cloud providers. Well, DiData is a huge firm in IT services. They have all the expertise and software they’d ever need, but instead of developing a platform or an IaaS to sell to customers, they bought one outright and are starting up a cloud services business unit to sell it pretty much as is. That means, as has been pointed out so many times before, building a cloud is hard work, and quite distinct from well understood data center architectures around virtualization and automation as we used to know them. It also means there was a pressing need for a functioning cloud business today, or more likely yesterday. “Essentially, what Dimension has said is ‘nothing changes with OpSource’” said OpSouce CTO John Rowell. Rowell’s a bit giddy; he said with access to DiData’s partnerships and customers, OpSource gets a fast track to global infrastructure growth in a way it couldn’t before. “We believe we can go head to head with Amazon and we‘ll be better than them,” he said. He might not be far off, at least in the MSP sector; OpSource does have a few pieces of the puzzle AWS doesn’t, like a working support system, mature networking (mature networking features in the cloud=hosting circa 1999) and a very slick interface that is pig easy to use or extend. Overall though, it tells us the real action is behind the scenes for enterprise IT- cloud computing is on fire in the service world; it’s still mostly smoke in the enterprise world. Full disclosure: I’m a paid contributor to the SearchCloudComputing.com blog. We just released two new capabilities for AWS Elastic Beanstalk that help you save your preferred environment settings and deploy changes to your applications with minimal downtime. Many customers have asked us for a way to eliminate downtime when rolling out new versions of their applications or when they are modifying their environment’s configuration. By using the URL swapping functionality, end users of your web application should not experience downtime when you deploy a new application version. You can stage your new application version on a test environment and swap the URLs with the production environment. You can even integrate this functionality into your build process using the Elastic Beanstalk Command-Line Tool. For more details about this functionality and how to integrate it into your build process, go to Deploying New Versions with Zero Downtime in the AWS Elastic Beanstalk Developer Guide. The following example demonstrates how we get these two new features to work together when you deploy, test and launch new versions of a web application. Let’s assume that you have your production environment running at myapp-prod.elasticbeanstalk.com. Save the configuration of myapp-prod.elasticbeanstalk.com by going to the AWS Management Console and selecting ‘Save Configuration’ on the ‘Actions’ menu. Type a name for the configuration settings and click ‘Save Configuration’. Now you can launch environments that look and behave the same as the production environment. In the console, click ‘Launch New Environment’ and type the name, the description and the URL for the new environment. Let’s assume the URL for the new environment is myapp-staging.elasticbeanstalk.com. Select ‘Upload and use a new application version’ and use the Browse button to locate the new version of your application. Choose the container type and click ‘Continue’. On the Configuration Details pane of the ‘Launch New Environment’ wizard, you can select your saved configuration from the drop down. This will populate the settings for your environment. Complete the wizard and wait for the environment to launch. Now you can test your new version at myapp-staging.elasticbeanstalk.com. You can continue to upload new versions of your application to the staging environment until you’re ready to go live. When you’re ready, click on the ‘Actions’ menu for your production environment and select ‘Swap Environment URL’. Select the staging environment from the drop-down and click ‘Swap URL’. After you swap the URLs, all traffic to myapp-prod.elasticbeanstalk.com will now be sent to the new version of your application. Today, we are pleased to announce that we're lowering our pricing again for AWS data transfer. Effective July 1, 2011, customers will not pay for any inbound data transfer. Plus, we are slashing our pricing in each tier for outbound data transfer. We are also introducing new pricing tiers for our high volume users. There is no charge for inbound data transfer across all services in the US and Europe. That means, you can upload petabytes of data without having to pay for inbound data transfer fees. On outbound transfer, you will save up to 68% depending on volume usage. For example, if you were transferring 10 TB in and 10 TB out a month, you will save 52% with the new pricing. If you were transferring 500 TB in and 500 TB out a month, you will save 68% on transfer with the new pricing. Likewise, we are also pleased to announce that for our Content Delivery Network, Amazon CloudFront, we’re also lowering prices effective July 1, 2011. We’ve added new pricing tiers in every region. Also, in the US and Europe, we’ve reduced data transfer pricing in every tier. As a result of this pricing, you will see a reduction in your costs of up to 43%, depending on how much data you transfer each month. Plus, Amazon CloudFront also offers Reserved Capacity pricing that gives you the opportunity to receive significant additional discounts if you know you will reach minimum usage levels each month. Contact us for details on Reserved Capacity pricing. Just a few days ago, I was having a conversation with a customer, who is CIO of F500 company, regarding the number of times AWS has lowered the pricing and he said “It makes me look so good in front of my CFO. When he [CFO] sees the savings in our AWS monthly bill, he thinks that it is me who is working hard on driving the costs down and increasing efficiency of the company’s infrastructure. I get all the credit for all the hard work you guys are putting in.”. - Yet another benefit of Cloud Computing. The new version of the AWS Simple Monthly Calculator reflects this new pricing so feel free to estimate your costs again to see how much you will save due to these new lowered prices and feel free to take the credit! For more information, read Werner's blog post and new data transfer pricing page on our website. It was no surprise that AWS matched Microsoft recent announcement of free data ingress to Windows Azure and SQL Azure. Often we think about innovation as going after new unchartered territories, but it is also important to innovate in those existing dimensions that will remain important for customers. For Amazon retail, some of those dimensions are low pricing, large catalog, fast shipping, and convenience. Every effort we put into improving these drives a flywheel that yields benefits both immediately and for the long-term. For example, when our retail customers contributed to create larger economies of scale for Amazon.com, we used the savings to lower pricing such that our customers could also benefit. In Amazon Web Services there are similar dimensions that are forever important to our customers; scale, reliability, security, performance, ease of use, and of course pricing. Any work we can do to improve over these dimensions generates long term benefits for AWS customers. AWS also applies the same customer oriented pricing strategy: as the AWS platform grows, our scale enables us to operate more efficiently, and we choose to pass the benefits back to customers in the form of cost savings. Often customers are surprised about our strategy to help them drive their costs down. Our account managers periodically call customers to work with them to see if there are opportunities to create better efficiencies and lower bills. Our solution architects work with customers to look for opportunities to exploit elasticity in AWS setups which can lead to significant savings in operational cost. According to our customers, this is unique in the industry. Today marks another important milestone in our continuous cost reduction strategy; we've lowered prices over a dozen times in the past four years, and today we're lowering them again. Bandwidth pricing will see a reduction that for many customers can easily lead to a 40% or 50% savings in bandwidth costs. Incoming bandwidth cost will drop to $0.00 in every region. And, in the US and Europe every outgoing tier will see price reductions. We are also adding new tiers to pass saving onto our very large bandwidth consumers. For more details see the announcement, the details pages of the services at http://aws.amazon.com, and the posting on the AWS developer blog.